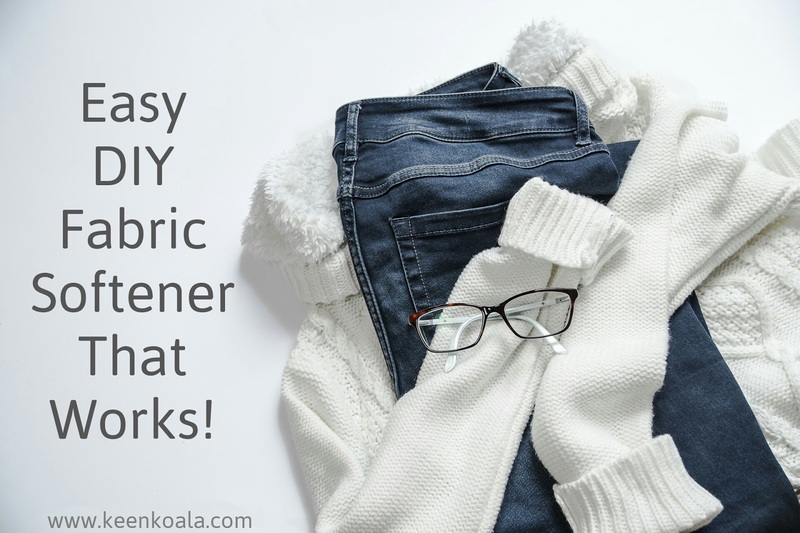 Keen Koala: Easy DIY Fabric Softener That Works! Easy DIY Fabric Softener That Works! Some things just go together, like peanut butter and jelly, Simon and Garfunkel, or towels and fabric softener. Nobody wants to dry off with a scratchy, abrasive towel. If you do, you can feel free to stop reading here. But, if like me, you like to live life on the softer side then let me show you how to make a batch of DIY fabric softener at home, from things you probably already have around the house. You can use the same amount of this mixture as you would use store bought fabric softener. I hope you enjoyed this quick and simple budget friendly tutorial! For more great posts like this and instant access to exclusive content and contests, please like us on Facebook by clicking HERE!